So, as I am sure everyone is fully aware by now... It's Mother's Day tomorrow (Sunday 26th March 2017) and what better way to show your love to Mum by serving her a delicious breakfast in bed to start her day off perfectly. 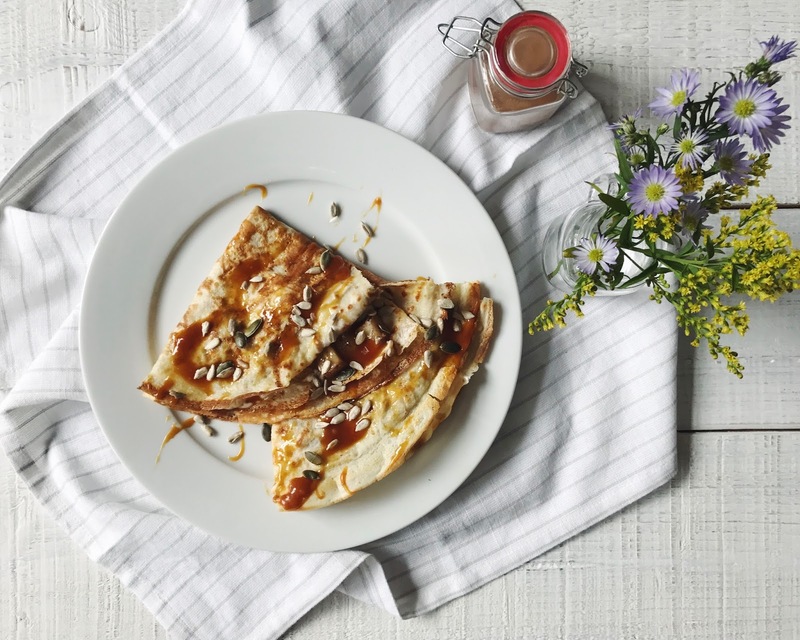 I have included not 1 but 2 delicious recipe ideas to inspire you on what to serve; whether she likes a sweet or savory breakfast. > Simply combine the flour, eggs, milk and a pinch of salt in a large bowl and mix thoroughly until combined into a smooth batter. Heat a large frying pan and add a tsp of coconut oil and allow to melt before adding a dollop of the batter mix - cook on each side for about a minute until golden a crispy. > For the filling - peel and cut the pears and place in a pan to sautee with the agave nectar and cinnamon until soft. > Serve up by filling the pancakes with a dollop of coconut yoghurt, the sauteed pear, sunflower seeds then drizzle all over with some coconut caramel (alternatively, make some plain caramel sauce). 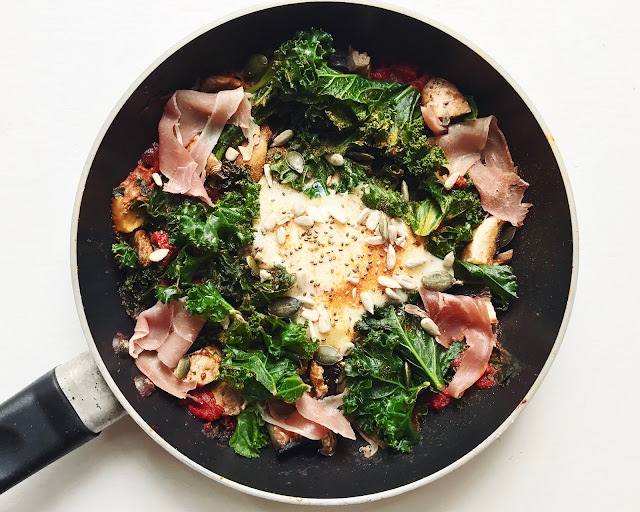 Start by slicing up the mushrooms and cherry tomatoes and placing into a small frying pan with a little oil, once both have softened add in the kale leaving a space in the centre of the pan to crack the egg into. Sprinkle over the ground turmeric then cover with a pan lid for around a minute (or 2) this will allow the egg to poach and the kale to steam and soften. Remove the lid, add the parma ham and sprinkle with seeds to finish. Serve up as it is or add some fresh slices of bread (gluten free) to dip into the egg. I hope this has given you some inspiration and make sure you spoil Mum tomorrow - it is her day after all!